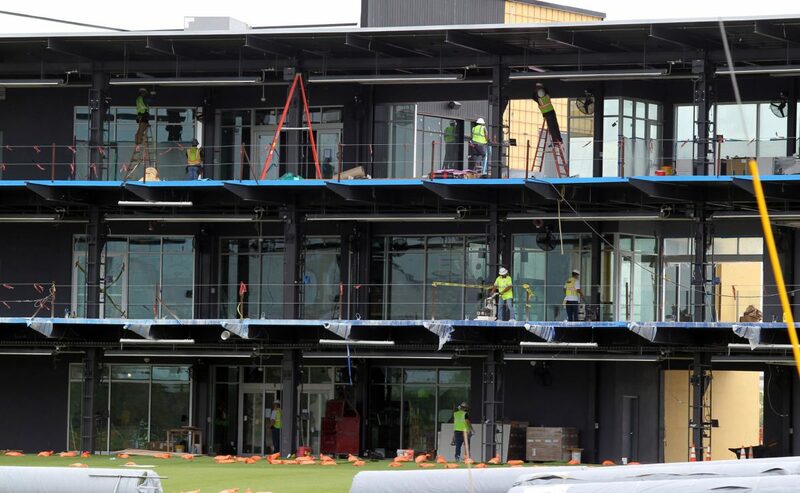 TopGolf, a sprawling entertainment venue with a high-tech driving range and swanky lounge with drinks and games, is under construction on Tuesday, September, 4, 2018, in Pharr. 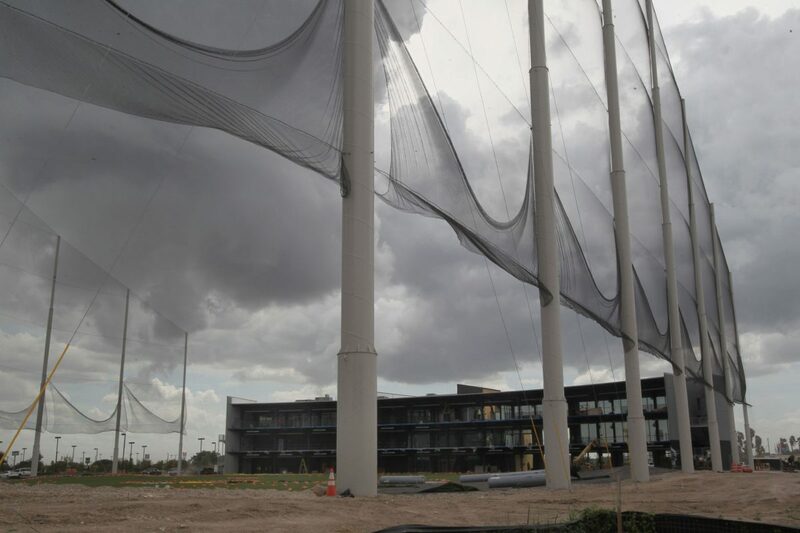 PHARR — The first Topgolf in the Rio Grande Valley is expected to open late this fall. The sports entertainment venue confirmed Tuesday that it will begin hiring to fill 350 positions. 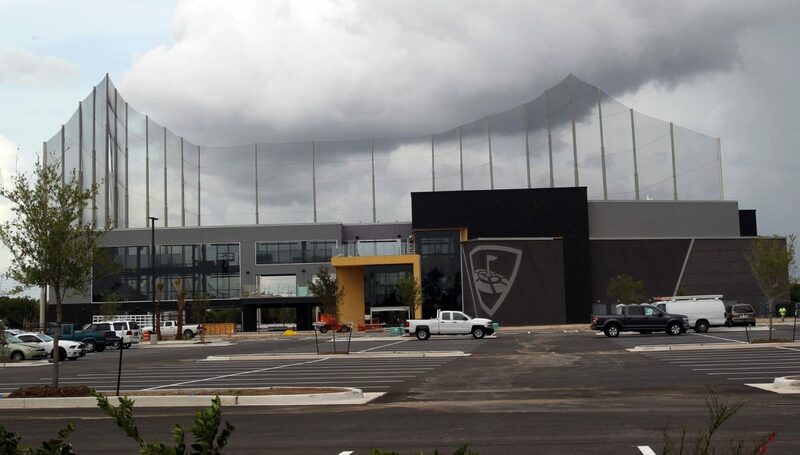 Topgolf is located off Expressway 83 and Jackson Road in Pharr, near AtHome and Costco. Construction began in January after Topgolf discussed locations with various cities in the Valley. Pharr lured the business by offering about $5 million in incentives over 10 to 15 years. The city will end up paying $1.2 million in cash incentives, City Manager Juan Guerra said, as well as a 50 percent reimbursement of sales tax for 15 years and 50 percent reimbursement of property tax for 10 years, Guerra said. Construction workers are seen at the TopGolf on Tuesday, September, 4, 2018, in Pharr. TopGolf a sprawling entertainment venue with a high-tech driving range & swanky lounge with drinks & games is under construction on Tuesday, September, 4, 2018, in Pharr. There will be 72 climate-controlled hitting bays that can host up to six people each at the style of driving range. There will also be a food menu and a bar.